Photo of: West of Ireland: Clare: Quin Abbey. On the outskirts of the willage of Quin in County Clare, not far from the town of Ennis, lies Quin Abbey. 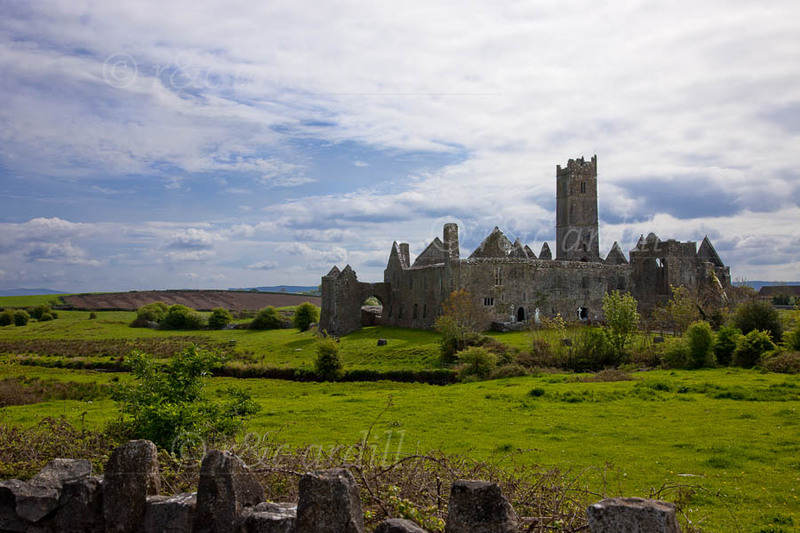 It was founded by the MacNamaras around 1350. Using the solid south curtain-wall of the old Norman castle, built in 1280 by Richard de Clare in an attempt to subdue the MacNamaras, they built a church from east to west. North of the church they erected a residence for the clergy and a small sacristy. Sioda Cam MacNamara built the cloisters in 1402. The bell-tower and Lady Chapel were erected by Mahon MacNamara in 1430.